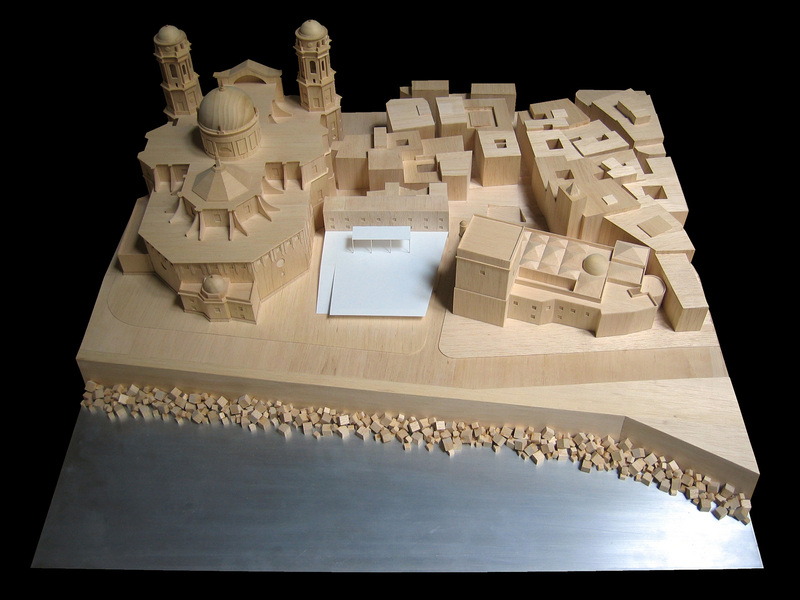 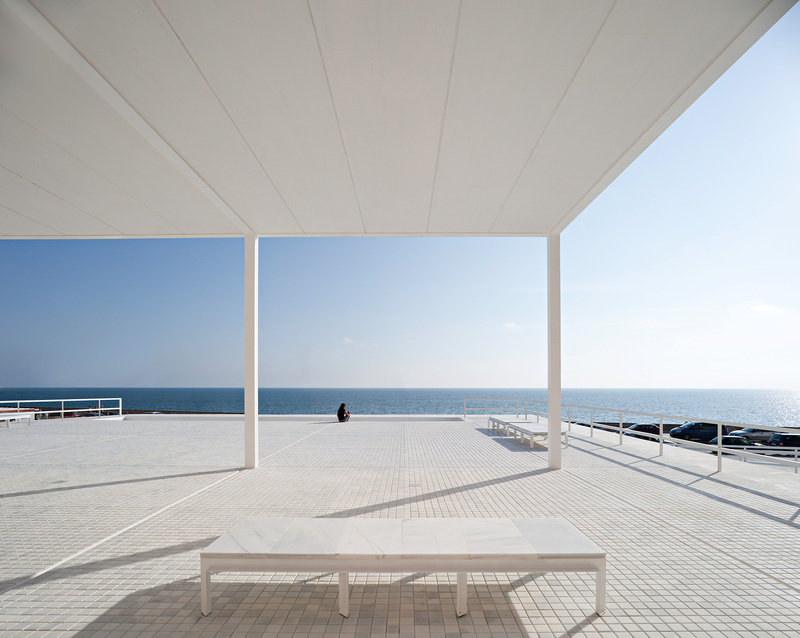 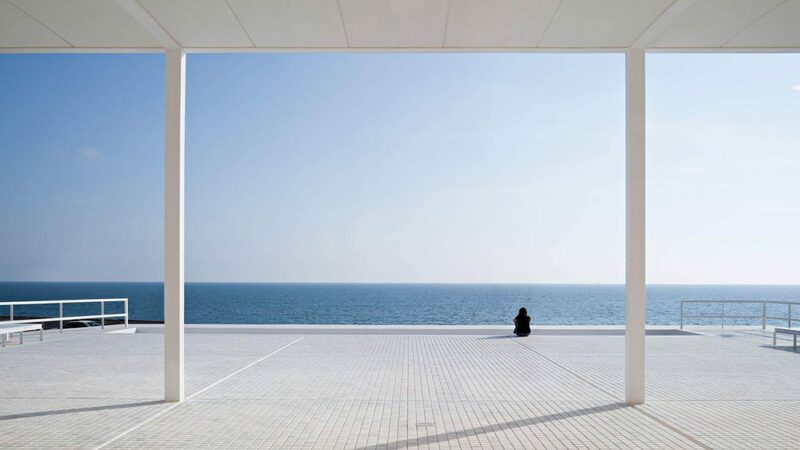 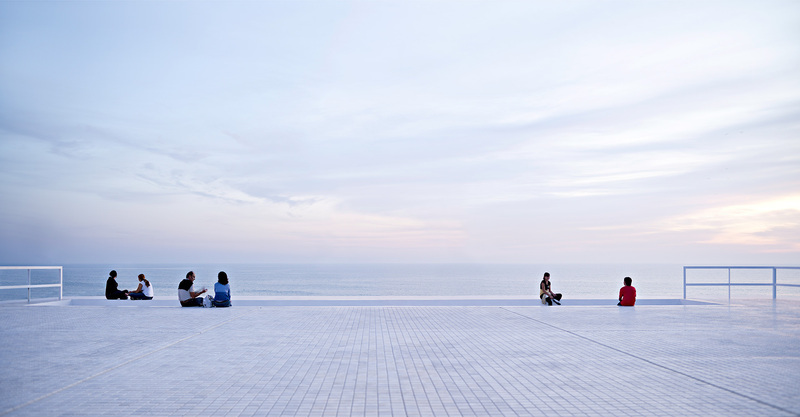 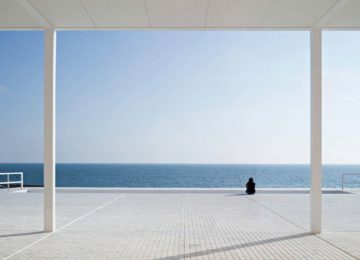 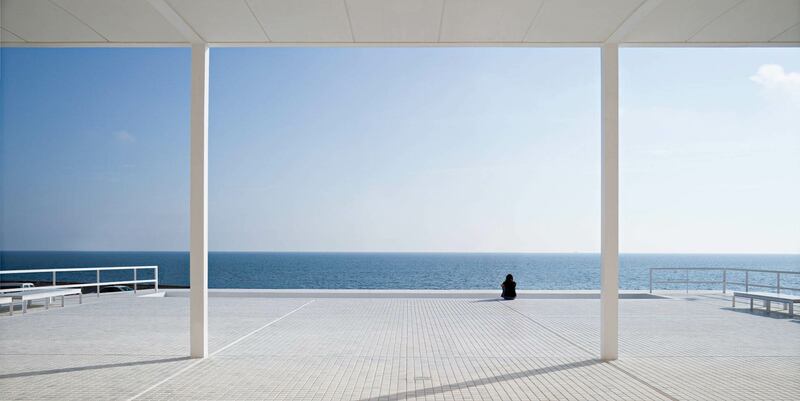 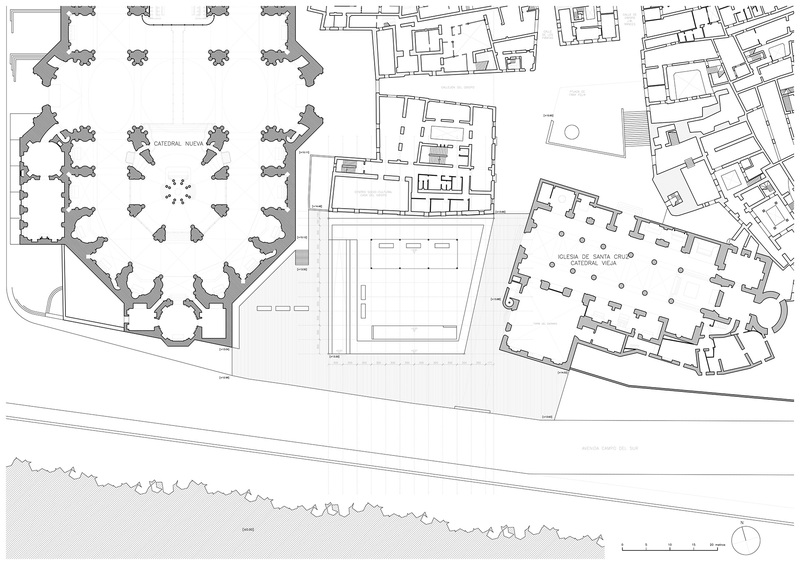 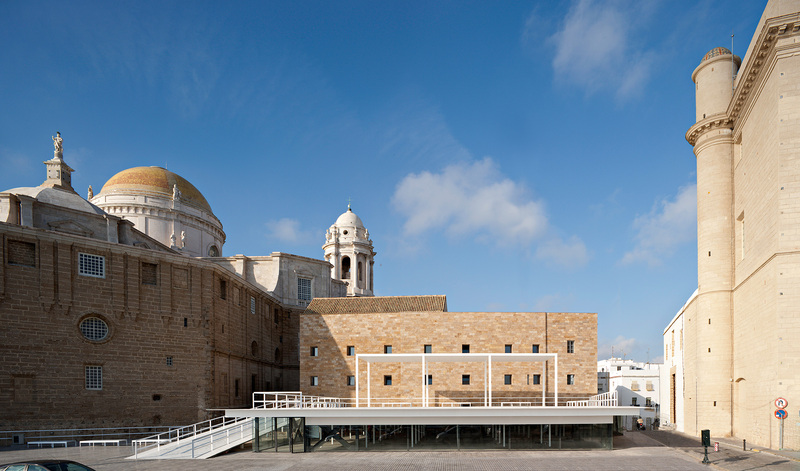 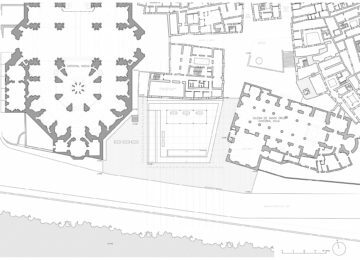 The project “Between Cathedrals” seeks to create an intervention worthy of the most significant location in the history of Cadiz, the oldest city of the West: the empty space facing the sea located between the Old and New Cathedrals. 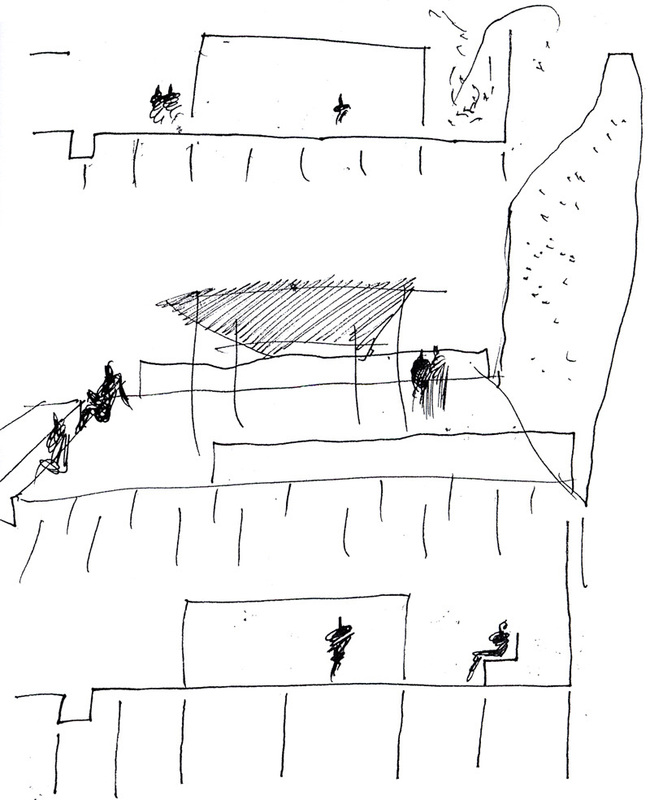 The basic premise is to cover and protect an archeological excavation. 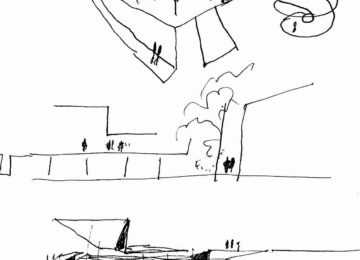 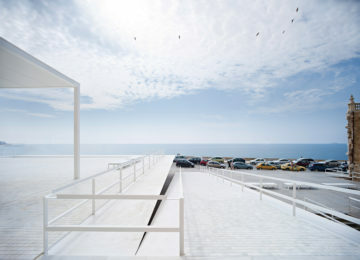 Additionally, this new plane serves as a base for a space facing the ocean, a raised public space providing clear views unobstructed by cars passing on the circle road. 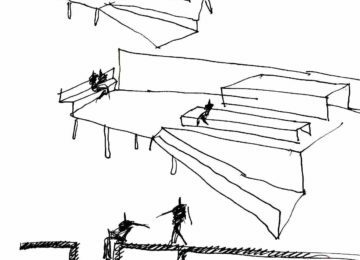 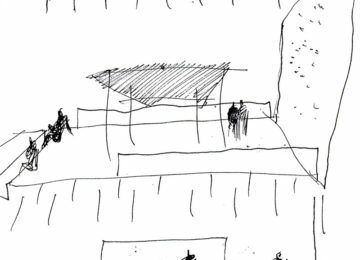 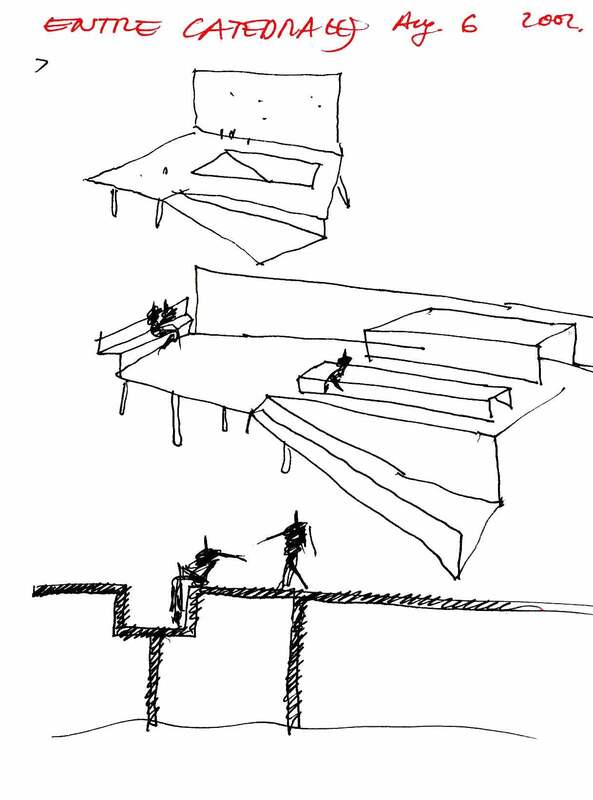 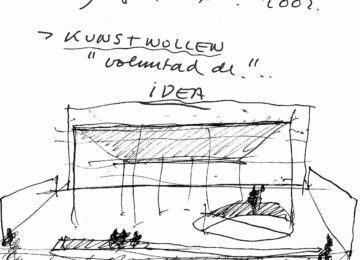 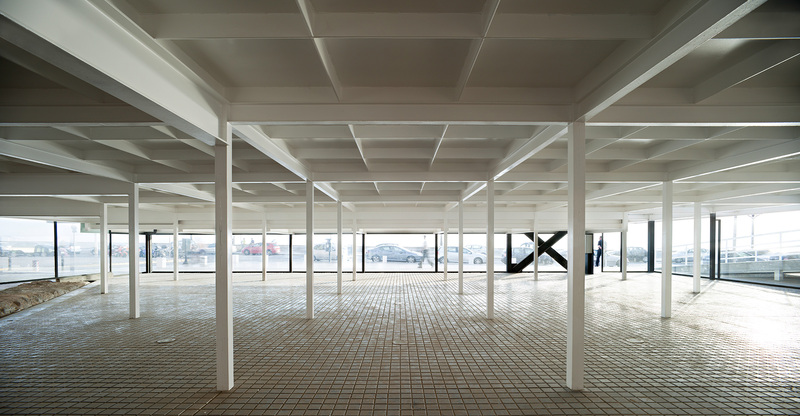 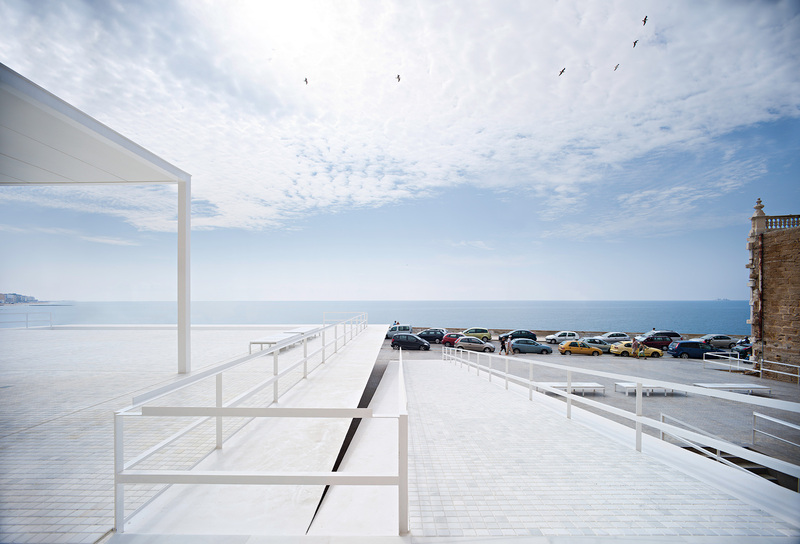 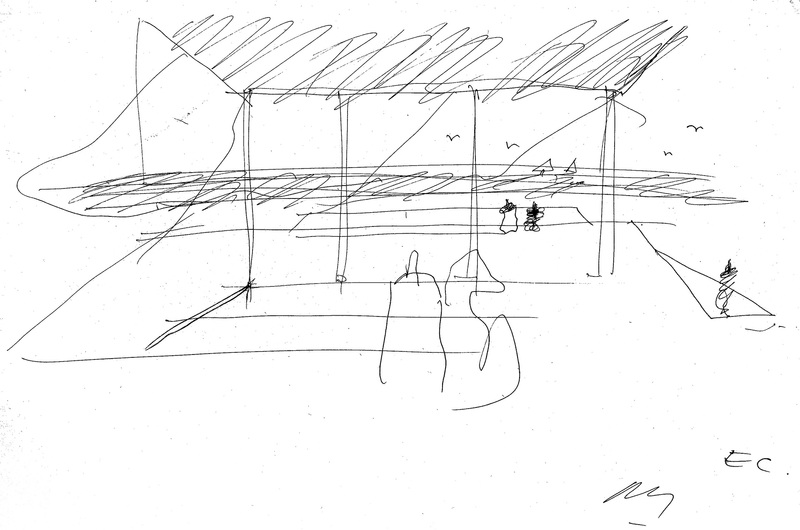 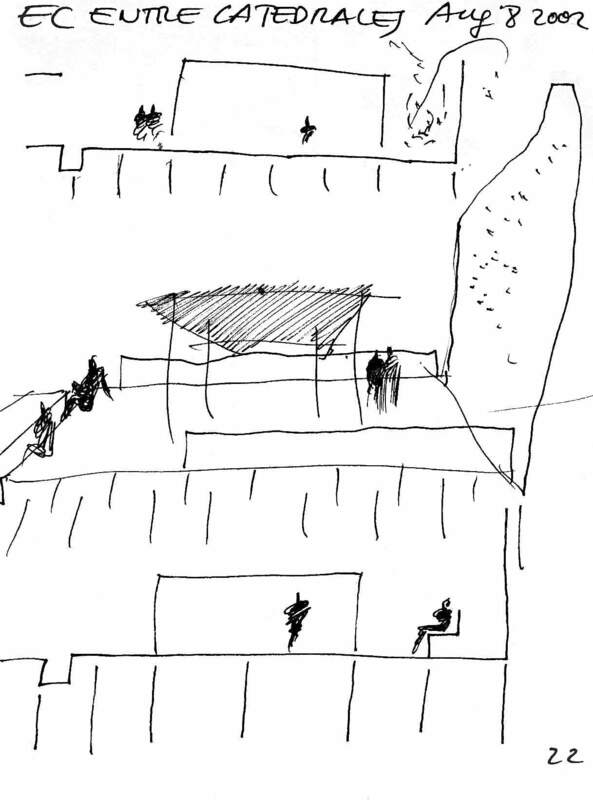 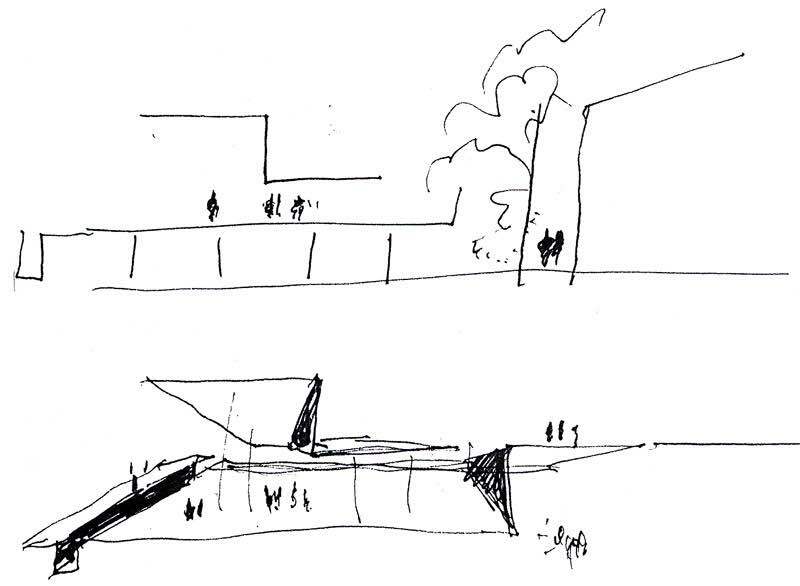 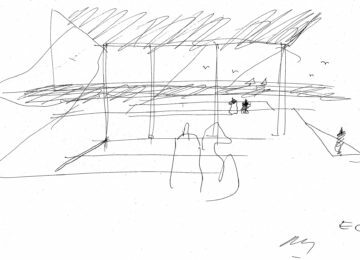 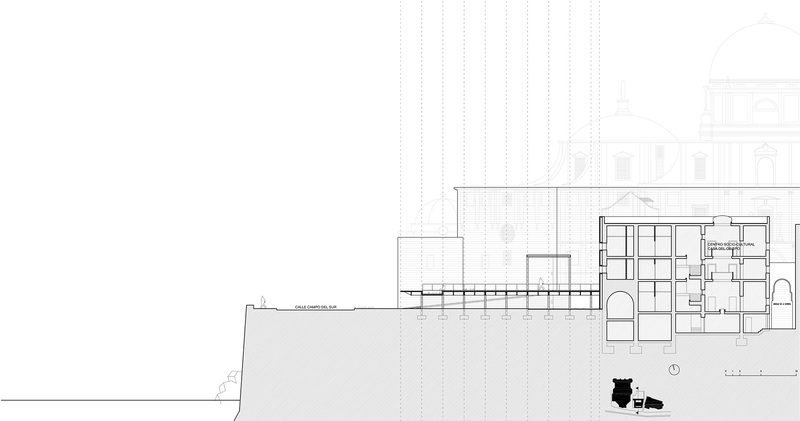 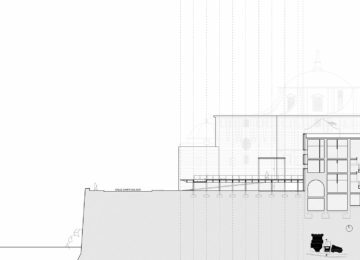 A light, white platform is thus conceived, poised over the excavation as if on tiptoe, and reached by a side ramp. 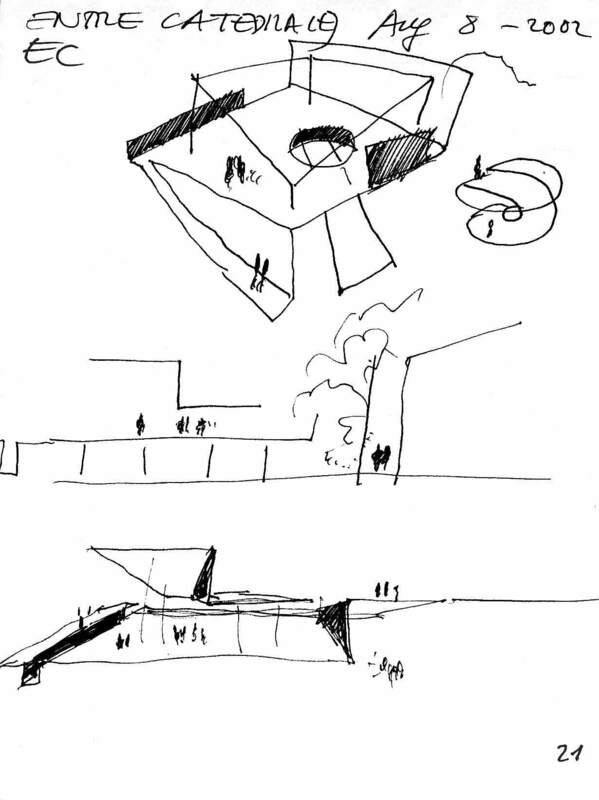 Over this plane, a huge canopy structure is built to provide protection from the sun and rain. 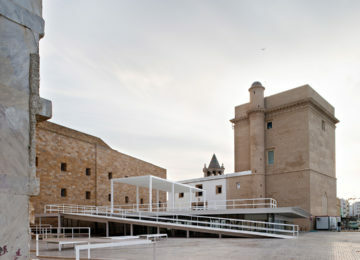 Constructed as if it were a ship, it is painted completely white to accentuate its lightness. 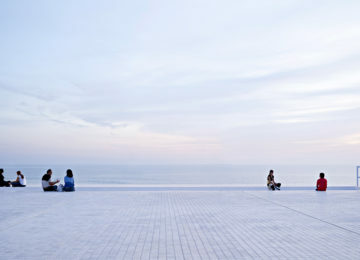 The paved area is carpeted in white marble. 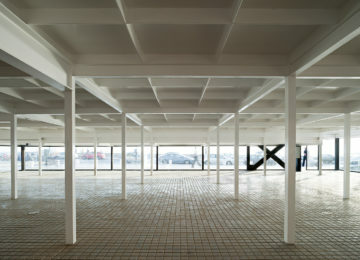 In the construction of the base; the memory of ships. 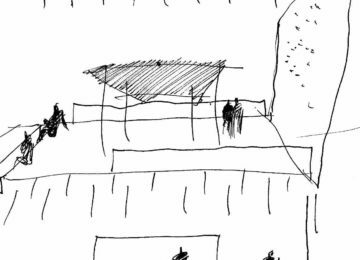 In that of the shade structure, as if it were a baldachin; the memory of a holy week procession. 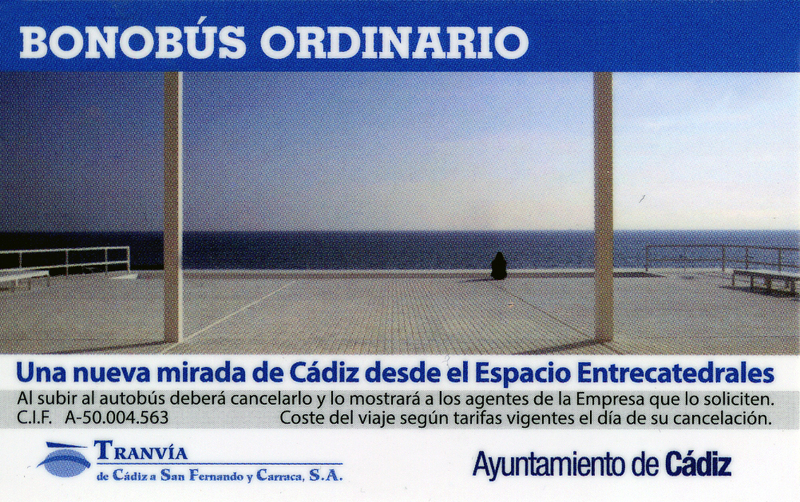 We would like to make a beautiful piece of architecture, worthy of this wonderful place, and worthy of being part of the collective memory of Cadiz. 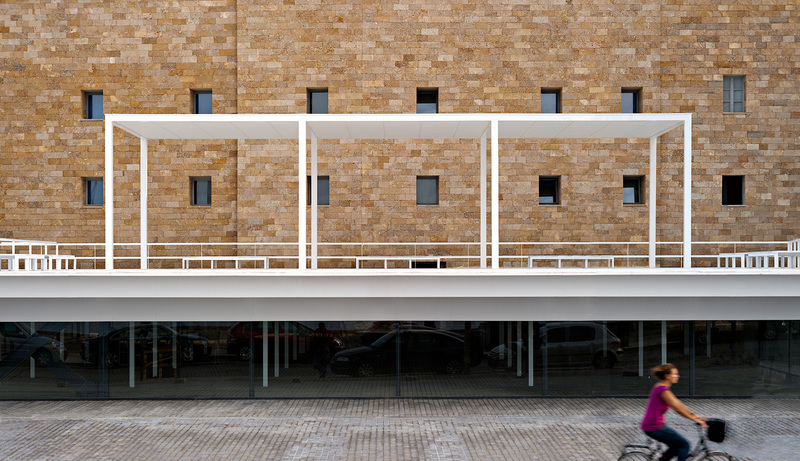 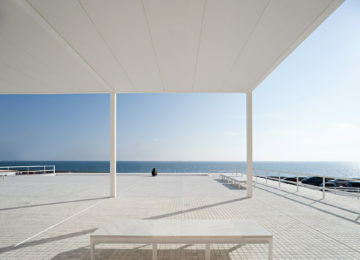 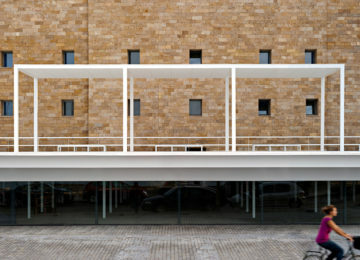 Architect: Alberto Campo Baeza. 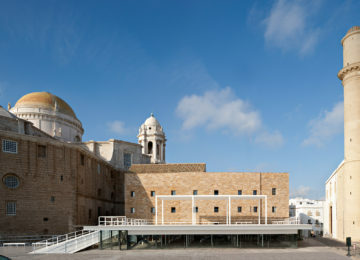 Location: Cádiz, Spain. 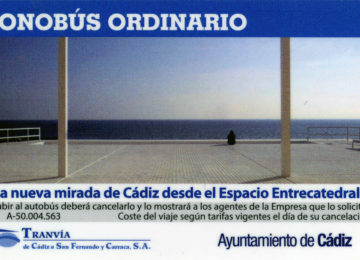 Client: Cádiz City Council. 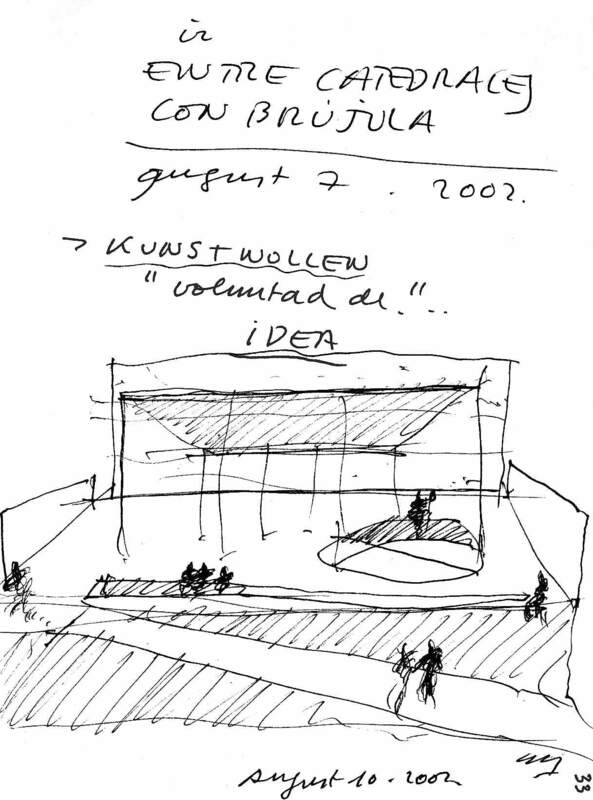 Project: 2006. Built: 2009. 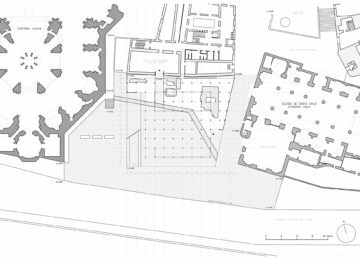 Area: 1.000 sqm. 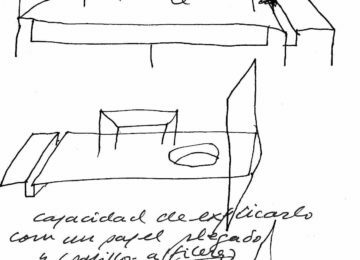 Collaborators: Ignacio Aguirre López, Emilio Delgado, Miguel Ciria Hernández. 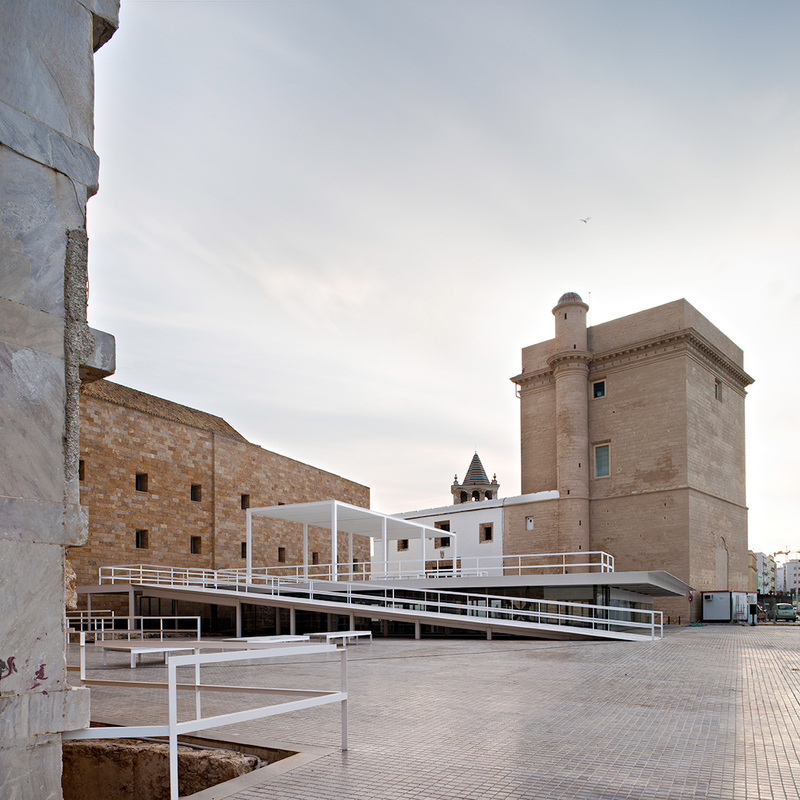 Structure: Andrés Rubio Morán, Jorge Conde Conde - IDEEE. 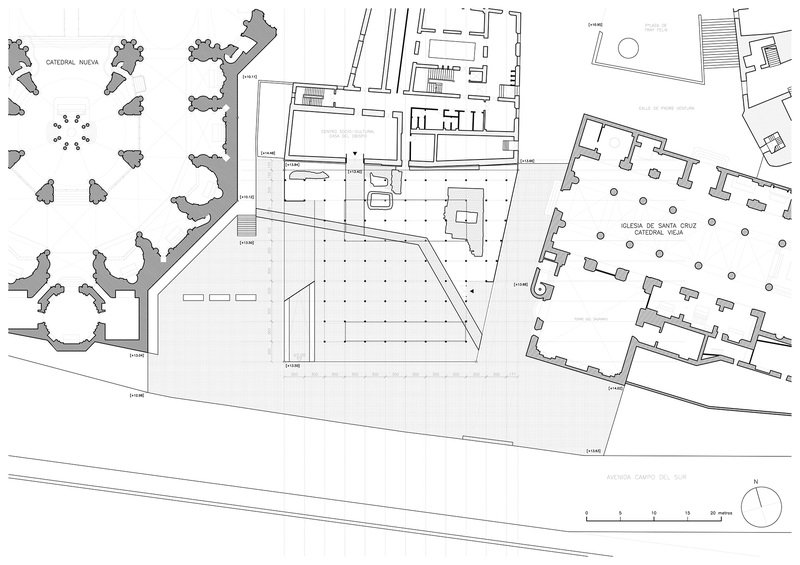 Quantity surveyor: Manuel Cebada Orrequia. 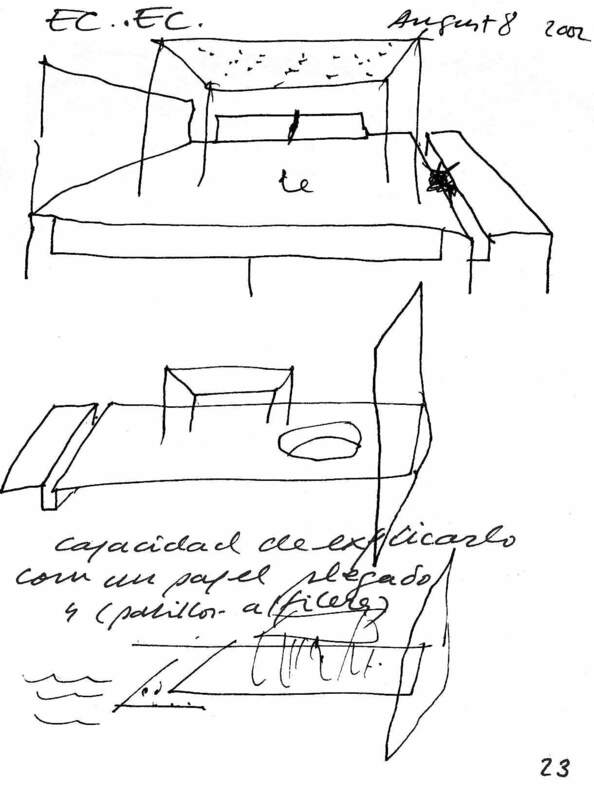 Contractor: Geocisa (Adolfo Arizpeleta). 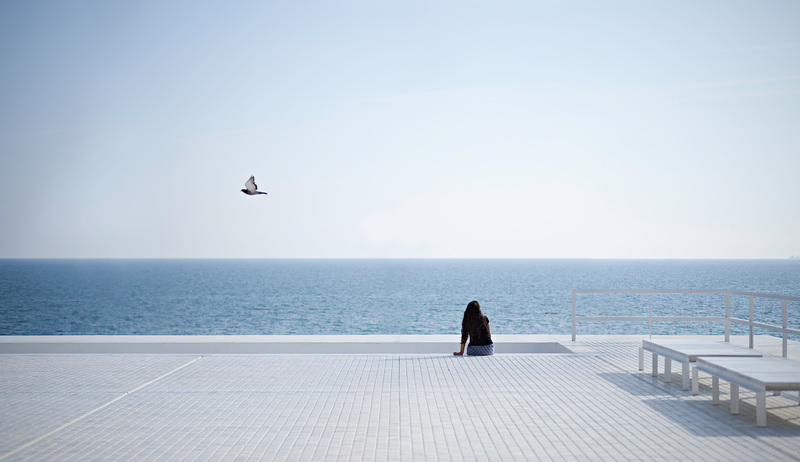 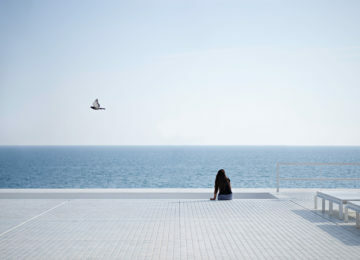 Photographer: Javier Callejas.